If you’re interested in renovating your boat, or adding new superstructure to your yacht, you may be looking into aluminum boat welding and marine welding in Fort Lauderdale. Just like any yacht or boat improvement project, marine welding can be expensive and time-consuming – and you need to choose the right company to make sure you get the right results. At K&G Marine Welding, we’re experts at aluminum boat welding and metal fabrication – and we’ve learned a thing or two about boat welding over the years. Take a look at our helpful tips for aluminum boat welding below. Keep it clean – Cleanliness and surface preparation is everything in TiG welding. Both the filler material and the base should be totally clean and free of any foreign objects or materials – otherwise, the results will be sub-par. Cut pieces right before welding – Untreated aluminum oxidizes when exposed to air for a significant length of time, which makes welding more difficult. Because of this, aluminum pieces should be cut immediately prior to welding, with a plasma arc, laser, or a circular saw. Clean every piece with solvent to remove grease and oil – A high quality solvent should be used to remove all foreign grease and oil from the surfaces of aluminum pieces that are to be welded. Remove aluminum oxide from welding surfaces – A clean stainless steel brush is best for this. Removing oxidation provides a much better, more long-lasting result. Use a grinder to cut aluminum pieces – Grinders leave burrs and other imperfections that make welding more difficult. Cut or pre-heat parts with oxy-fuel – As the name suggests, oxy-fuel contains quite a bit of oxygen – and that means more oxidation, which is not ideal when welding. Use shop rags to clean any of your surfaces – Shop rags may be fine for wiping down a countertop, but they are covered with dirt, grime, and debris that make them a poor choice for cleaning aluminum prior to welding. Use compressed air to clean aluminum – Compressed air can contain quite a bit of moisture, which will react during the weld. Avoid using compressed air to clean aluminum. Lubricate metal pieces that will be welded later – Don’t use lubrication when milling aluminum that will be welded in the near-future, as they will be hard to clean thoroughly before welding. Let Us Serve You With Our Aluminum Welding Expertise! As we’re sure you can see, we have plenty of experience with welding aluminum using TiG welding. We have worked on hundreds of boats – from fishing vessels, to pleasure cruisers and superyachts. You can trust us to deliver expert service, and solid, secure welds that will hold for years and decades to come. So don’t trust some cut-rate welding shop on the corner. 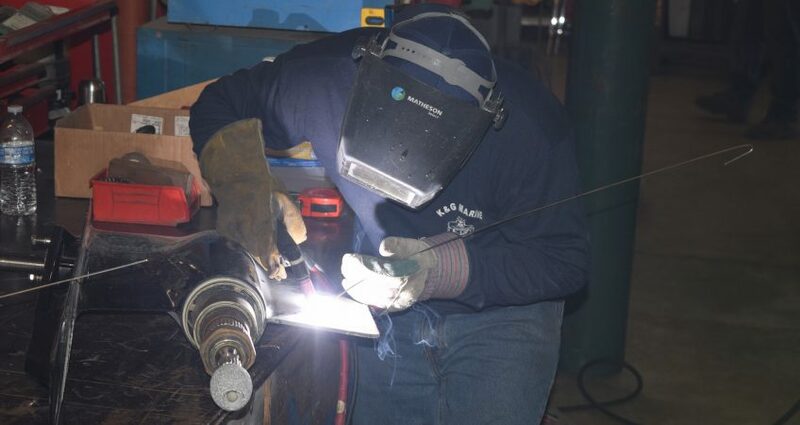 If you need to invest in your vessel, and you want the best possible marine welding in Fort Lauderdale, K&G Marine Welding is the right place for you. Still not convinced? Take a look at some of our work. We know you’ll like what you see. Ready to get started? Contact us now, and get a quote for your next marine welding project. We look forward to hearing from you.